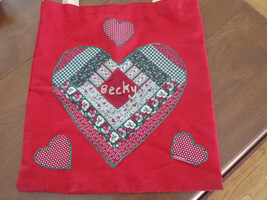 Home » Bematthe's Booth » Vintage Handmade Bookback/Tote - Personalized "Becky"
Vintage Handmade Bookback/Tote - Personalized "Becky"
This sale is for a handmade tote/bookbag made by me in kindergarden. 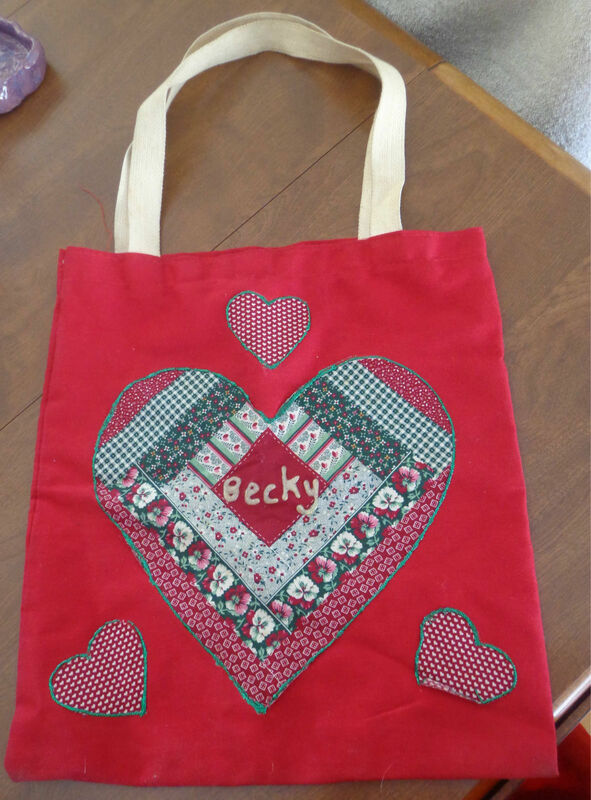 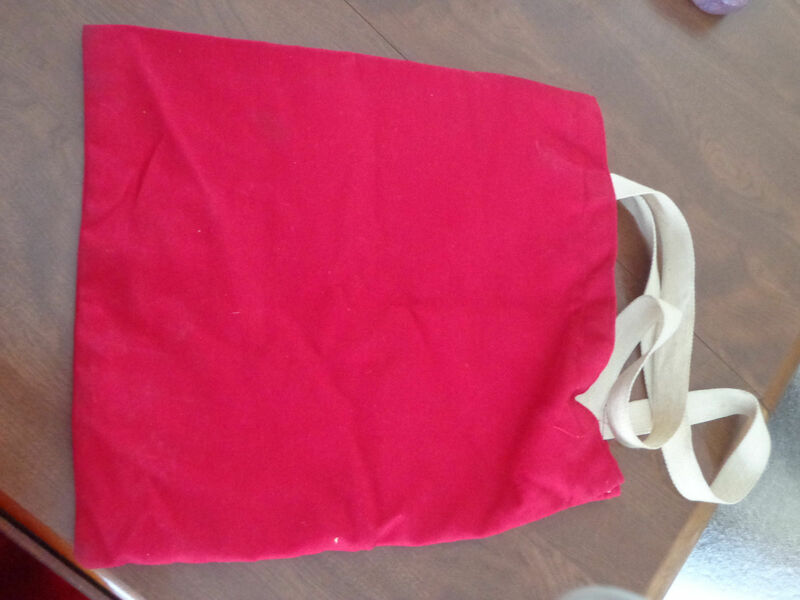 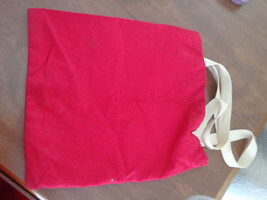 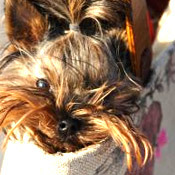 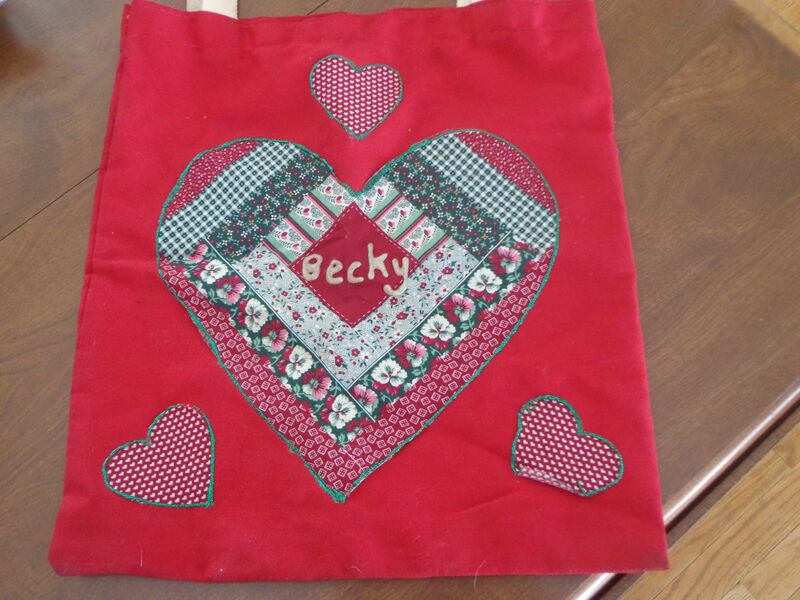 It's red with hearts and is personalized "Becky." 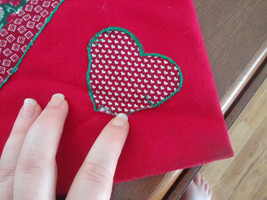 The heart at the bottom right is coming off, but would just need to be re-attached with a bit of glitter glue.